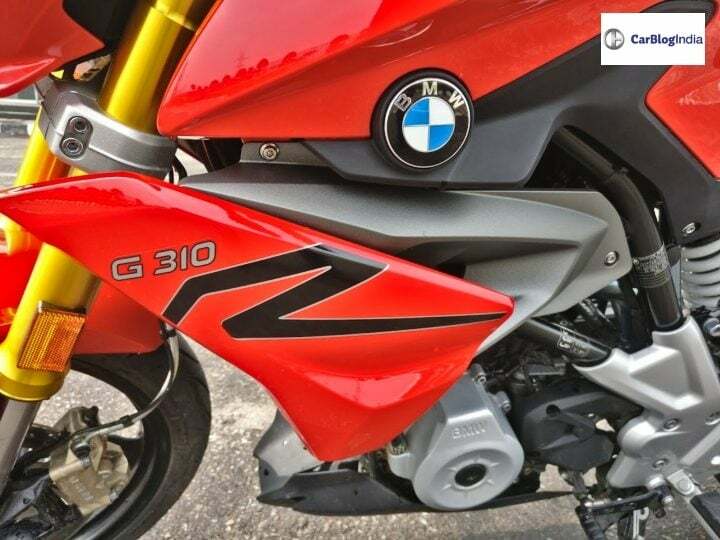 Here is our detailed first ride impressions of the all-new BMW G310R And the G310GS. Do the long-awaited duo of BMW Motorrad bikes hit the sweet spot? BMW. These three letters evoke the petrol head in all of us. 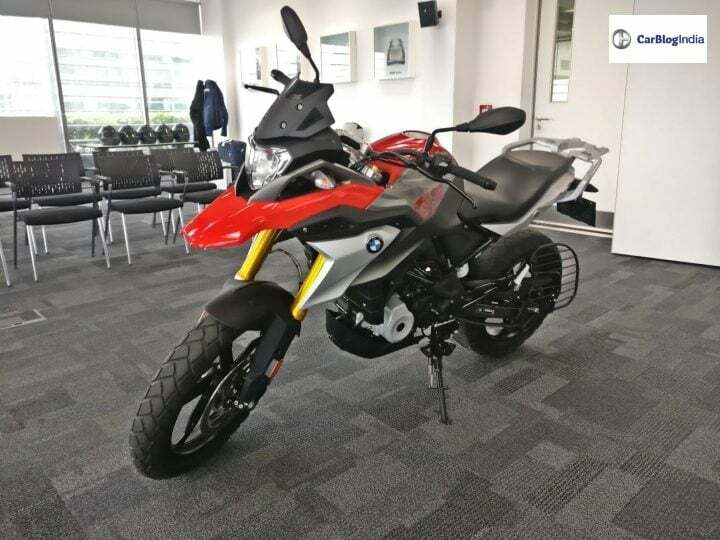 BMW Motorrad bikes, especially their touring range bikes have been dream bikes for the adventure tourers amongst us. 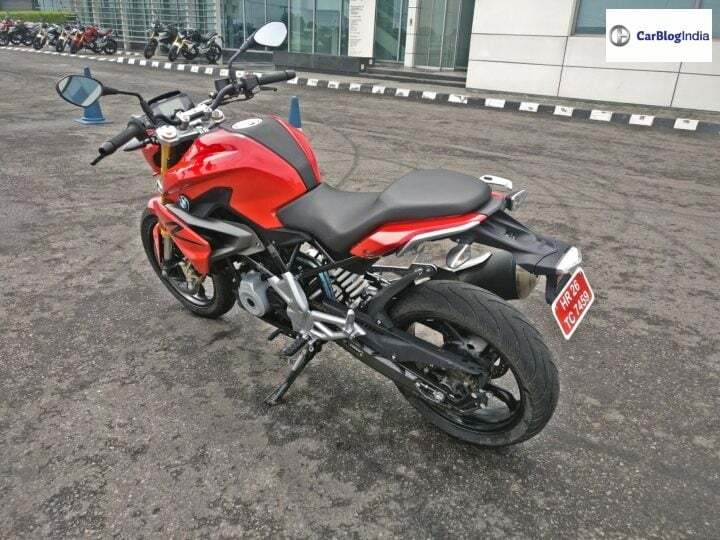 No wonder then that BMW 310 bikes, were one of the most awaited bikes in the past decade. And when they were launched, it got missed signals from fans. Many were upset over the premium pricing for the G310R considering it’s essentially the same bike as TVS RR310 but is priced about Rs. 85,000 higher. Today we find out if paying that extra money is worth it. Naked Street Fighter bikes have a huge fan following in India along with fully faired motorcycles. A street fighter bike is peppy, cuts through traffic like a hot butter knife through butter and looks great with it’s exposed frame and engine. The rider sits in attack mode, ready to show any red light warrior their place under the sun. Boy does the G310R get the street fighter formula right. It takes its design cues from the much bigger sibling – S1000 R. At the very first glance, you know you are looking at a no-compromise street fighter. 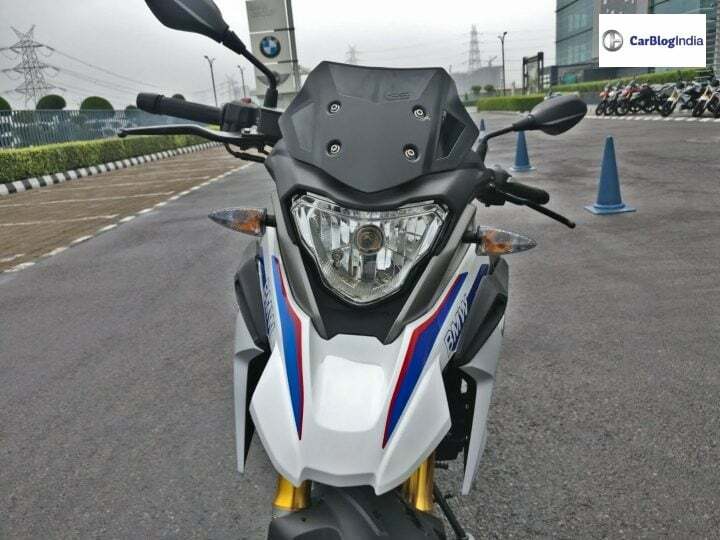 The BMW badged fuel tank flanked by two sharp shrouds, gold coloured USD’s, frame peeking through the underside of the tank, trapezoidal headlights – all add to the street fighter looks of the bike. It gets a single seat with is pretty comfortable, the rear grab rails are beautifully integrated into the rear panels and the bike ends with a beautiful LED tail lamp flanked by two tiny turn indicators. Overall the bike looks like an aggressive tiger cub about to pounce on its prey. As soon as you get on the bike, it evokes confidence even among the less experienced. The low seat height of 780 mm means you sit with feet firmly planted, the handlebar is in easy reach and there is no strain on the wrists and an upright seating position. Thumb the starter and the single pot 313 cc engine comes to life right below you. The single pot engine churns out 33.6 BHP @ 9500 rpm and 28 Nm of torque @7500 rpm. Give it the beans and the front wheel has a tendency to come up. The power comes in at higher rev range but lower down, it’s not lacking in power for city usage. The power delivery is smooth and the tyres provided good grip even on parts of the road with gravel and sand. As I said before it looks like a tiger cub but it’s agile like a cheetah. It’s extremely flickable and dashes through gaps in traffic with ease. Handling is spot on with a well-distributed weight and leaning into corners inspires confidence. It has a longer swingarm than the TVS RR310 but a shorter wheelbase. So it gives the required stability on the highway while maintaining the agility. What adds to the safety bit is that the ABS is absolutely spot on. Brake at any speed and the bike does not lose composure. While the 310GS has a switchable ABS but the G310R doesn’t. We tried locking the rear wheel on the G310R but it just didn’t and neither did the bike go out of control. So if you are looking for a safe ride, this is very handy and if you like to have fun with the rear wheel, this bike wouldn’t allow that. The slipper clutch makes it even safer. There is no engine braking under hard downshifts and it means no unexpected wheel locking if one has to shift to tow-three gears all of a sudden. We did hit a section of open highway to see how it behaves on the open roads, we found that while the bike gains speed quickly, the wins blasts on a naked bike is something we are not a fan of. There are some bit of vibrations coming through the tank to the rider after one crosses 6,000 RPM. The engine does not feel stressed though. In 6th gear, the bike is at about 6,000 RPM while doing 100 kmph. It still has power left but we didn’t have any road left. Riding in heavy traffic, the bike cruises easily in third gear and even fourth and fifth gear are very usable. 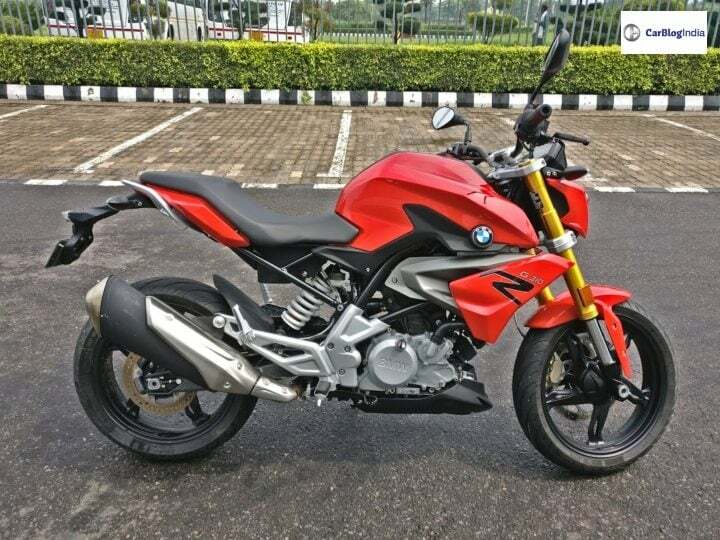 Overall, the BMW G310R is an amazing roadster on two wheels which will make you look good dashing through the city and making sure, you reach home safely. The Baby GS. The cub you buy when you can’t afford the tiger. 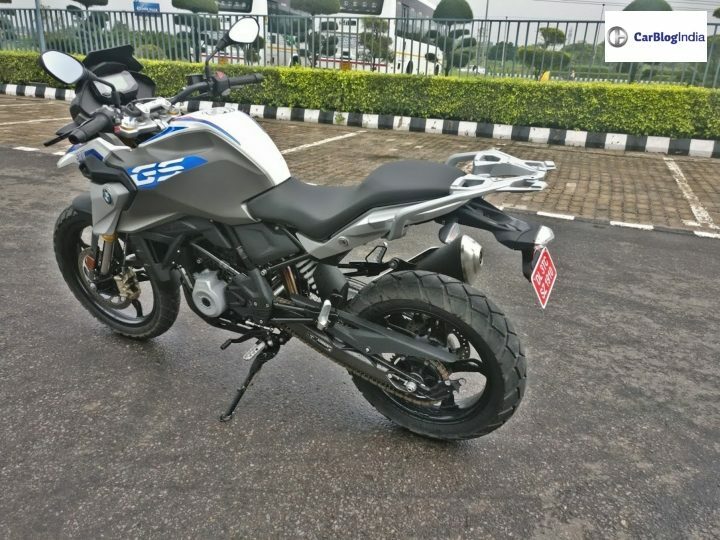 But is it really a baby GS? Yes. 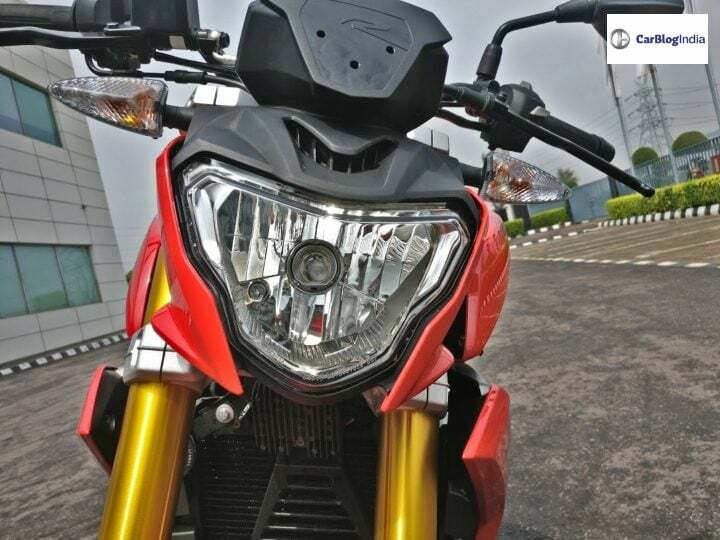 As for the baby GS feel starts with the looks- it has the beak below the headlight from the GS family and a fibre tank cladding with GS written all over it. The bike colour runs in a seamless manner from the beak all the way to tank. This bike lets everyone know it’s a BMW with a BMW logo on the tank and BMW also written on the beak. On the rear, it has a well built and integrated aluminium luggage rack which adds to the Adventure Tourer looks. The feeling of an adventure tourer doesn’t end there. As soon as we got on the bike, it felt absolutely different than any other bike in this price range. Though it shares, chassis, engine and most cycle parts with the G310R, it feels very different. Talking about seating position, you sit higher with the seat height at 835 mm – a whole 55 mm more than the G310R. The seating position is upright and comfortable giving a commanding view of the road ahead. Handles are just the right size in width and even average Indian rider would be able to reach the handlebar without having to stretch the arms. The fairing definitely reduces the wind blast compared to the G310R and one feels like cruising on the highway rather than cutting through the traffic. 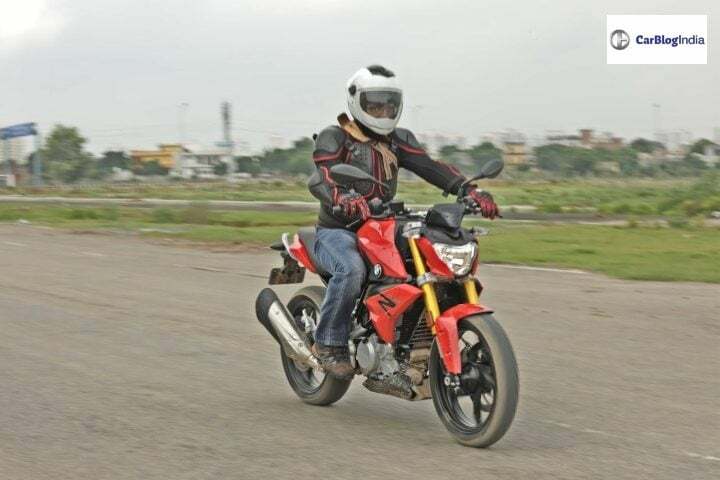 The setup of the bike makes it a proper adventure tourer – 19 inches front and 17 inches rear wheel along with a suspension travel of 180mm (40 more than G310R). It gobbles up potholes like Pacman gobbling up the little dots and bumps on the highway are taken in its stride. Since it’s an adventure tourer it needs to be good when the going gets tough. 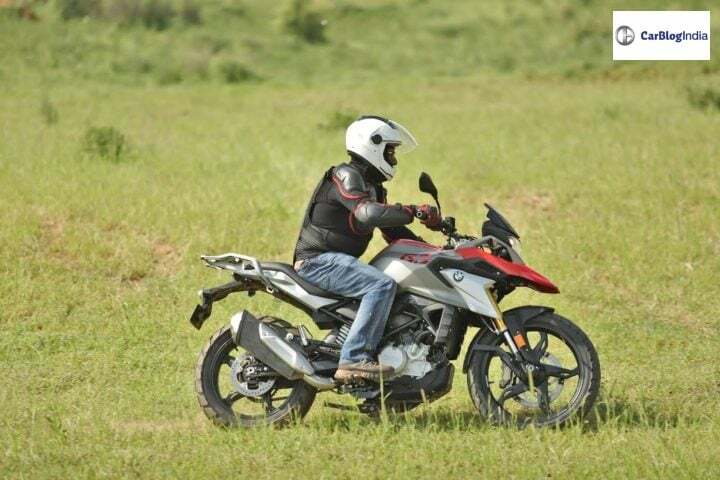 The BMW R 310 GS definitely is a proper adventure tourer not just in looks but in character. It does hold its ground off road. We did have a little complaint with respect the gearing as the power comes in at higher revs, one has to push the bike a bit while off-roading. We expect the power to be available at lower rev range. However, a good rider can extract a lot of fun out of the bike in muddy situations. The Metzeler tyres work both off-road and on-road. Compared to the 310R, wind blasts are far less and hence doing highway speeds is much less taxing. Clearly, it’s a purpose-built motorcycle. When we took it off-roading, it did hold its ground well and we could kick some dirt. With a dual channel, switchable ABS, one can turn off the ABS. Long press the ABS button and it switches off the ABS only on the rear wheel. With the ABS not interrupting with the rear wheel, one can slide the bike into the corners, by locking the rear and make off-roading faster and more fun time. Despite the height, and higher weight than the naked sibling, the bike does not feel top heavy. It was easy to throw it around. But to get the power drift, one has to push it a bit. Engine behaviour remains very similar to the G310R but due to added tank cladding, the vibrations are less pronounced. Also, the ride is more planted due to heavier kerb weight. The weight distribution remains spot and the bike does not lose its agility. I think going on a straight road for kms on end would be a breeze as long as there are enough fuel stations. With a 10 litre tank, the range is restricted for a tourer. We do wish, the GS came with a bigger fuel tank. Are the bikes worth the premium over TVS RR310? Yes and No. Yes because they are actually three very different motorcycles built for three different purposes and the big differentiator is the BMW badge. It’s that simple. We now have three capable bikes with the same engine but they serve their own purpose perfectly.